Genesis founding guitarist Anthony Phillips has signed to Esoteric Recordings and will release a 5CD retrospective boxset later this year. Phillips founded Genesis alongside Peter Gabriel, Mike Rutherford and Tony Banks with whom he recorded the albums From Genesis To Revelation and Trespass. 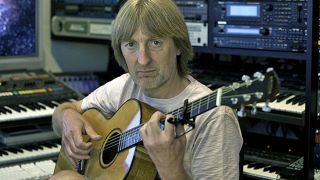 Since leaving the group in 1970, he has worked on a range of projects including solo albums The Geese And The Ghost, Wise After The Event, Slow Dance, 1984 and Field Day. He has to date also released 10 albums in the _Private Parts And Pieces _series and four volumes in the Missing Links series. His back catalogue will be celebrated with the release of a 5CD deluxe boxed set in October entitled Harvest Of The Heart. It will feature recordings made between 1969 and the present day. In addition, the set will include 10 previously unreleased songs and the rare track Compression by Mike Rutherford – previously unreleased on CD – which features Anthony and was the B-side to Mike’s 1980 single Working In Line. The record deal will also see Phillips release new music in due course. Anthony’s catalogue releases will continue in January 2015 with the release of a deluxe edition of The Geese And The Ghost featuring Mike Rutherford, Phil Collins and Viv McCauliffe which will include a new 5.1 Surround Sound.